All of our Equipment is made in Taiwan and are from Original Manufacturers. We Sell no Fakes nor do we change Names of our Equipment. Long Range Cordless Telephone Systems have been around for years. The reason that they are not sold in North America, is because they Exceed the Maximum power requirements mandated by DOC or FCC. This is the Primary reason that people never see or hear of them in North America. The Base Station can be set up in Seconds and does not require any technical knowledge. If more range is Required these telephone Systems can reach out to 100km, far into the Farm Lands (with the use of Optional Amplifiers). All of our Telephones are made in Taiwan and are of Excellent Quality. 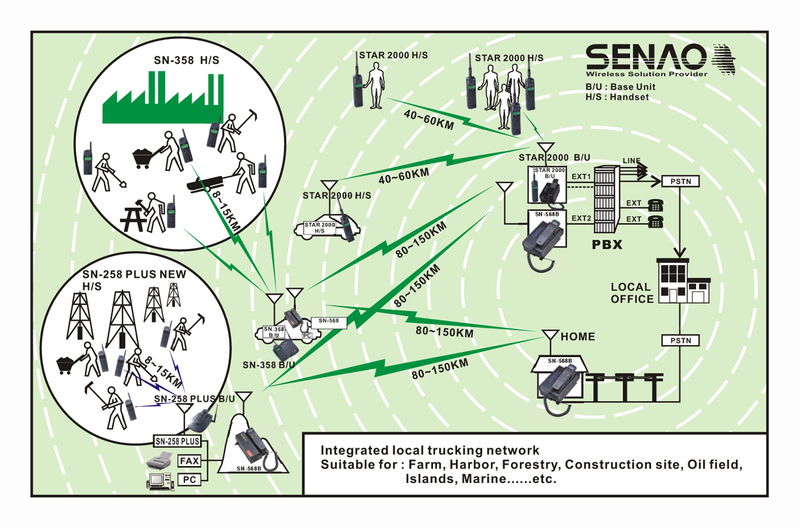 Our Senao Telephones are ISO9001 quality certified and are the Most Rugged Reliable LRCT's Available. They have lots of features, such as High Grade Military Scrambling feature that keep your calls Secure from eavesdropping. 50-300 Meter Range and are used mostly in or around the Home or Business. With an appropriate GP Booster (Amplifier) you can take our Systems far beyond Normal City Diameter. Our Senao SN-358 can have up to 99 handsets which would be nicely suited for a Small Company. With our Phones you don't have to be tied down to those Unwanted wasted Cellular Bill, User Bill. Whether for Individual Usage or Small Business we have the Technology and good Competitive Prices to meet your Demands. Please feel free to contact us for any Questions that you may have. telephone systems where no Lines are Available. User Money in Air time charges. 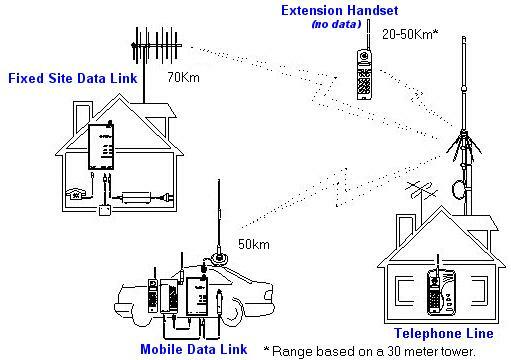 * These systems can be used to transmit Data to Remote Locations. Capabilities include Faxing, E-mail retreaval and Internet.